In your dream world, thousands of people read your blog every day, and every single reader agrees with your every word. Now, snap back to reality. The truth is many people who read your blog won’t agree with what you have to say, and some of them won’t have a problem telling you so in the comments section. And not all of those who disagree with you will do so politely. So, what do you do with negative blog comments? Do you delete them? Do you ignore them? Do you argue back with the commenter? Below, I’ve outlined some tips that I think set sound guidelines for handling negative blog comments. Please offer up your own thoughts (positive and negative) in the replies. Ignore trolls – The internet is full of trolls and keyboard gangsters who are just looking to stir up trouble. These people leave negative comments that add nothing to the discussion and are just designed to get a reaction from you. Don’t get them the satisfaction. The best way to treat trolls is to ignore them. Delete their comments, and they’ll eventually go away. Unfortunately for you, very few of your negative blog comments will come from trolls; most of them will actually be legitimate. Don’t get overly defensive – It’s human nature to get defensive whenever someone disagrees with you or criticizes your work, but don’t do it. Take a step back, and actually take the time to see what the commenter is saying. Try to understand their point, and always treat them with respect. If you get overly defensive, you’ll be seen as a crybaby who can’t handle constructive criticism and who is close-minded. Open it up for a discussion – I actually embrace negative comments because they tend to start interesting discussions in the comments section. And to me, that’s what makes a blog great. 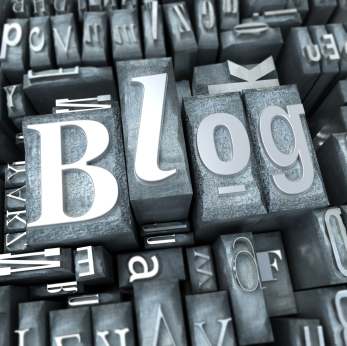 Blogs are dynamic, and you want the conversation to extend beyond your initial post. So, whenever someone leaves a negative comment, respond to it thoughtfully to help further the conversation. Respectfully offer up your opinion, and ask questions to get more out of them. This keeps readers coming back, and it helps you build relationships with your followers. Don’t edit comments – Either delete comments or let them stand unedited. Whatever you do, don’t edit comments from your readers. This is a surefire way to alienate readers and to keep them from ever commenting again. The great thing about blogging is that everyone-from the author to the commenter-has an equal voice. As soon as you remove that element, you lose the community and shoot yourself in the foot. Don’t get your feelings hurt – If you plan on being a successful blogger for a long time to come, you had better grow some thick skin. There will always be people who disagree with you and negative comments to deal with. So, you can’t let your feelings get hurt. How do you deal with negative blog comments? Share your tips in the replies. I guess this is a thing to deal with, not every one will agree with your ideas, and this is a fact, but we have to take negative comments as a help for us to see in which way we are wrong. And good post, congratulations.